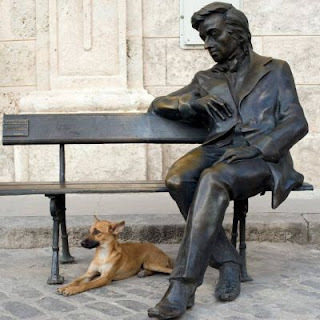 I receive the most interesting correspondence on Chopin from many people distinguished in their fields. I would like to share the latest with you from Professor Wilfred Niels Arnold Ph.D. who is Professor of Biochemistry at Kansas University Medical Center, Kansas City. The fact he is another Australian from Queensland makes this 'leak' all the more pleasurable. As the Chopin Year draws to a close it is a strangely fitting modern scientific reflection on the shuffling off of the composer's 'mortal coil' and the beginning of his musical immortality. We all know Chopin died of tuberculosis. I have always been interested in the more detailed conclusions of modern medical science on the deaths of great artists of the past. 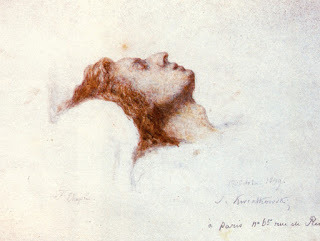 Professor Arnold has carried out extensive research on Chopin's tuberculosis, coming to especially interesting conclusions concerning the state of Chopin's heart at his death. Franz Liszt when viewing the organ after its removal commented that it was in a worse condition than his lungs. Such a detail set the professor off on a fascinating train of thought and investigation. One is forced to meditate on the terrible suffering of this man over 14 years without the benefit of modern analgaesics and palliative care coupled with separation from his homeland and a blighted love affair. Hardly surprising then the fatalistic melancholy and nostalgia that permeates so many of his compositions. Worthy too of the greatest human respect is the overcoming of mortality in a metaphysical sense through the fiercely courageous expression, even rage, contained in other compositions in the face of his grim awareness of 'the dying of the light'. 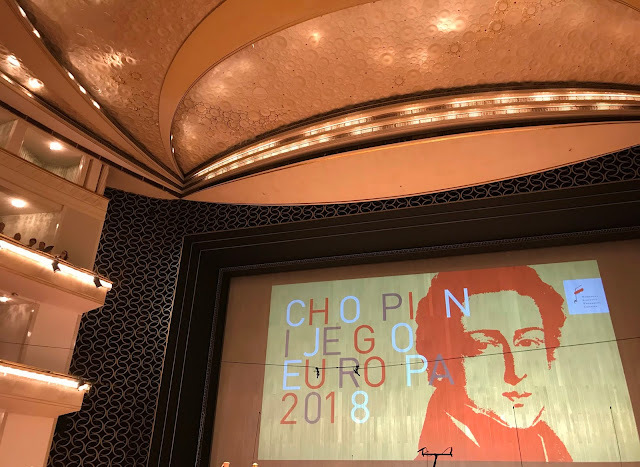 The presentation starts of with a short introduction to Chopin's life followed by the medical analysis. It lasts about 12 minutes.